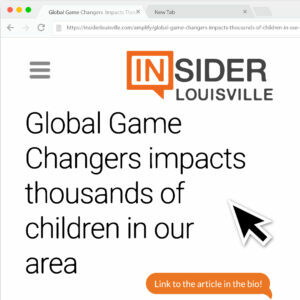 New York Press reporter Helaina Hovitz visited one of our Pottery Barn Kids events and saw how much fun the kids were having with the Global Game Changers. So she’s Calling All Tiny Do-Gooders! One of the regulars at PBK’s story hour, Hope Hasicka, 3, lives on 93rd street and helps her mother sort their recyclables, doing her part to keep the environment eco-friendly.